Veeam provides additional flexibility with subscription licensing, allowing you to avoid up-front costs and get started using Veeam’s award winning technology with minimal financial risk. Veeam Availability Suite, Veeam Backup & Replication, and Veeam Backup Essentials can be purchased as a one, two or three year subscription license, and each subscription license includes Premium 24/7 support. 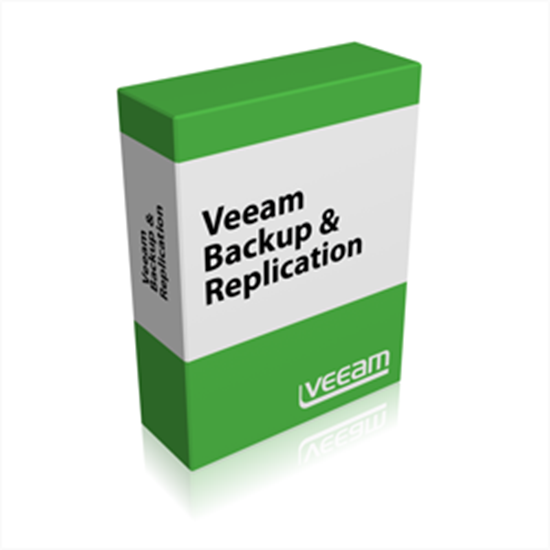 Veeam Backup & Replication provides fast, flexible, and reliable recovery of virtualized applications and data. It brings backup and replication together in a single solution to increase the value of backup and reinvent data protection for VMware vSphere and Microsoft Hyper-V virtual environments. Veeam Backup & Replication supports your entire virtual infrastructure with industry leading features, such as Instant VM Recovery™, 2-in-1 backup & replication™, built-in de-duplication and compression, faster item recovery and e-discovery for Microsoft Exchange, SharePoint and Active Directory, along with transaction-level recovery of SQL databases, plus much more. Veeam solutions are purchased on a per-socket basis. Includes the 1st year of maintenance and support (20% or more value).